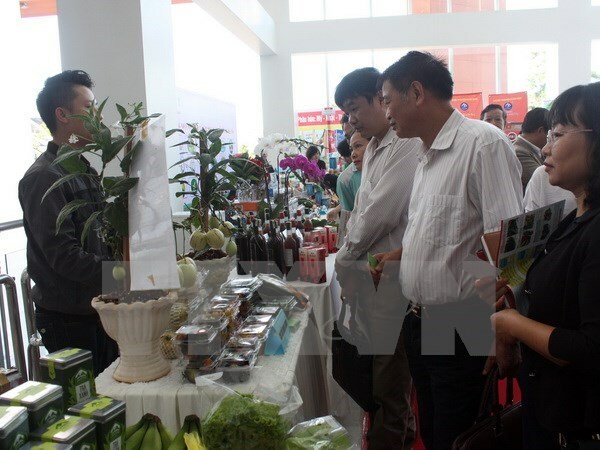 Lam Dong (VNA) – The Ministry of Agriculture and Rural Development held a conference in the Central Highlands city of Da Lat on August 14 to discuss developing high-tech agriculture in Lam Dong province. However, the agricultural sector tends to grow slowly due to spontaneous and small-scale production, limited technological application in agro-forestry-fisheries, and impacts of climate change, environment pollution and food hygiene. Participants hailed Lam Dong for being on the way towards a model of high-tech farming. According to the State Bank of Vietnam (SBV), outstanding loans for the field has amounted to 177.4 billion VND (7.71 million USD), but farmers currently lack information about domestic and foreign consumption markets. The SBV directed commercial banks to offer more loans to the drive and pledged all possible support throughout the process.